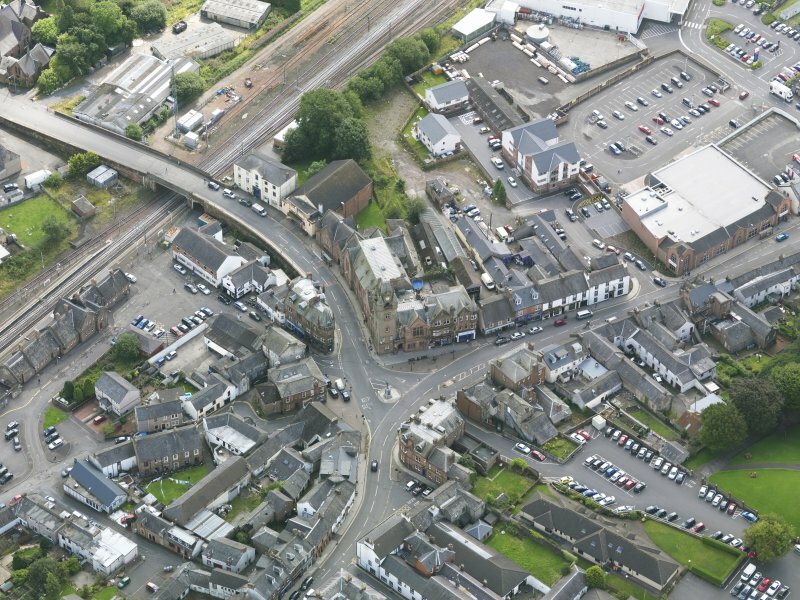 Oblique aerial view of Lockerbie centred on the Town Hall, taken from the NW. 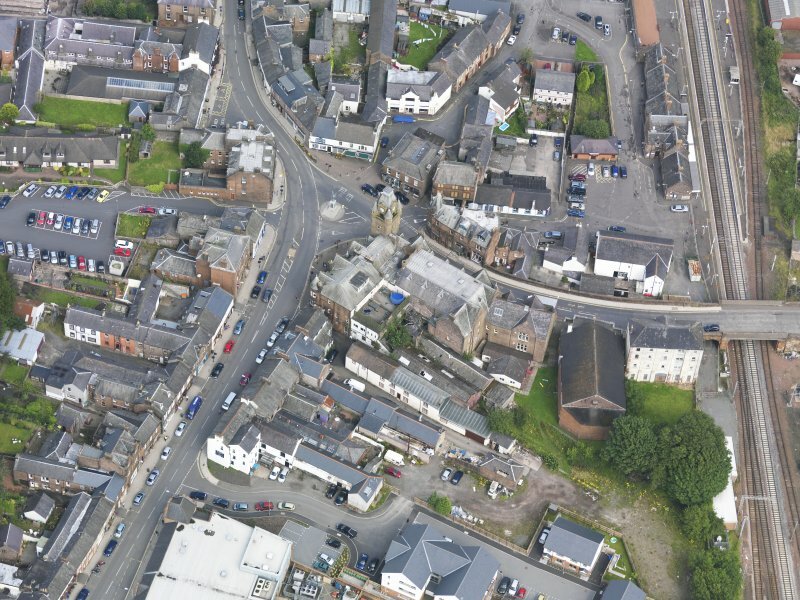 Oblique aerial view of Lockerbie centred on the Town Hall, taken from the SSE. 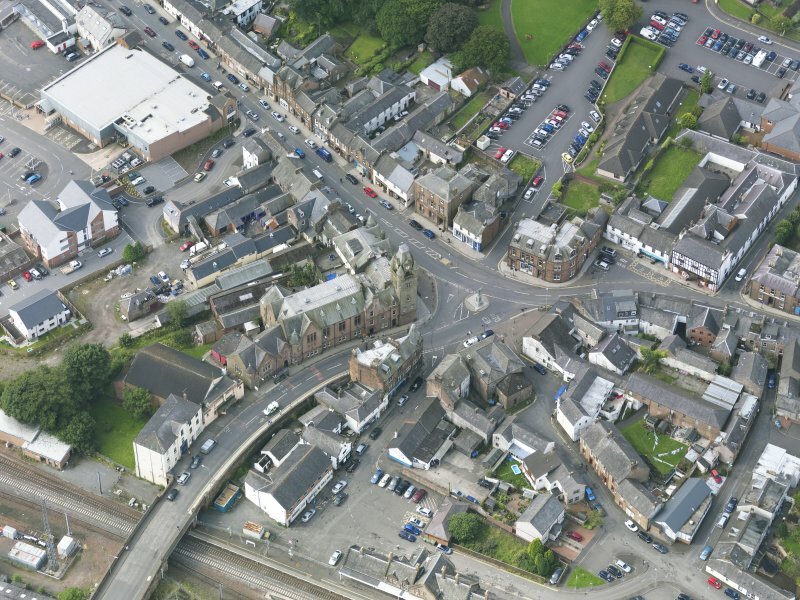 Oblique aerial view of Lockerbie centred on the Town Hall, taken from the NE.